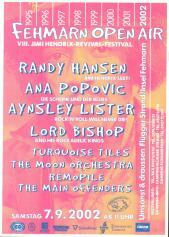 It was rainy and stormy in 1970 when the Fehmarn Open Air started. Two days teribble weather but when Jimi started his set the sun came out. 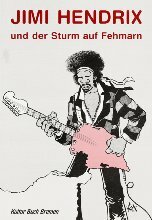 It was Jimis last concert before he died. 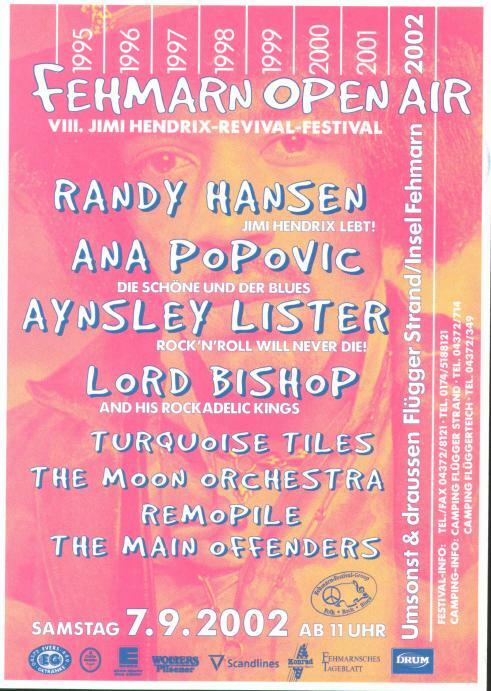 The sun was shining this year when the 8th Jimi Hendrix Revival Festival starts. 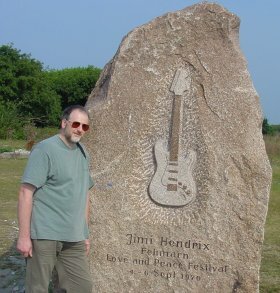 Visiting the Hendrix Memorial Stone is a must! 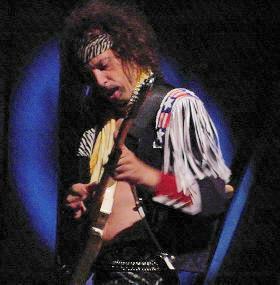 Very good music and bands especially Randy Hansen let us all remember that the spirit of Jimi still lives! Many thanks to the Fehmarn Festival Group and Dirk Struve for there excellent work and the photo pass also Eckhard Bergmann who made the contact! I took a lot of pictures and here is a collection of 120 pictures for you (sorry no pics of the Moon Orchestra).